Sean Swarner is a pro climber whose adventures range from battling through two deadly forms of cancer in his teen years to climbing the 7 Summits with only one working lung. If you want more details about that, or are looking for some serious inspiration check out this 3-part documentary-style interview series: Part 1, Part 2, Part 3. 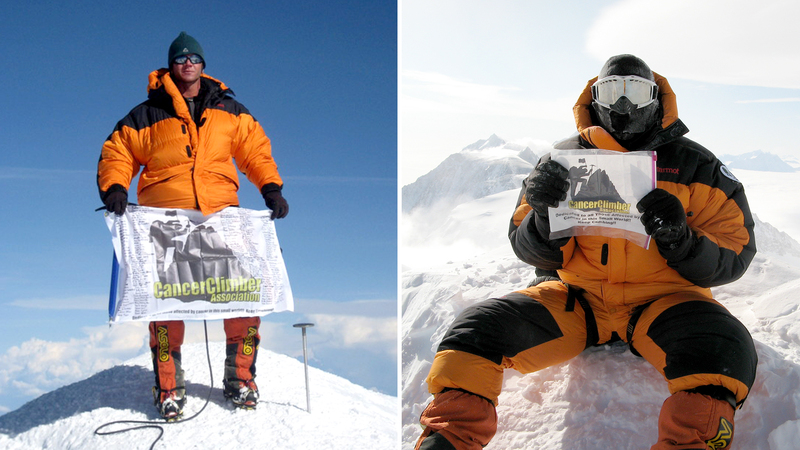 Sean and his brother have also co-founded the CancerClimber Association to help those touched by cancer. They’ve created the Adventure Support Grant which provide cancer survivors financial, gear, and training support to summit Mt. Kilimanjaro with Sean. We were excited to get a moment of Sean’s time where he explained his expedition packing list, which he has pretty dialed after climbing Mt. Kilimanjaro 12 times. This is the same packing list that the grant winners of the CancerClimber Association Adventure Support Grant will be using to climb Mt. Kilimanjaro. When you trek up a mountain, like Kilimanjaro, you can only carry so much gear. So you need to very carefully select what you bring along. I’ve been a Marmot ambassador and sponsored athlete for over 10 years now, and am also a huge fan of their products. The brand first approached me while I was finishing up my 7-Summit adventures, climbing to the top of the highest mountain on every continent. Through all seven climbs, Marmot gear kept my body warm in some of the coldest places on earth — including Antarctica, where it reached 60 below zero inside our tent. Since I’m still alive with all my limbs intact, I can safely say that Marmot is my favorite brand (and literally a lifesaver), so that’s why most of my gear list is composed of their products. Fleece/Synthetic pants. Lightweight with full separating side zippers–this is very important for ventilation and for ease of dressing up or down when conditions change in the middle of climbing. Aside from the typical gear list for climbing Kilimanjaro, there are also some lesser-known items that I consider essentials for my trips such as baby wipes, sour gummy bears, a small journal and mechanical pencil, and Red Bull. I’m on a mountain for at least 6 days with no running water, sweating while hauling gear from camp to camp, so it almost feels like a luxury being able to clean up with baby wipes. The journal comes in handy because at the end of every night I write down things about the day like what we did, how the group performed, our team dynamics and, most importantly, what I would change next time. By the time I get home off of the mountain I usually forget all the things I’d change, leave at home, or do differently, so it helps to write them down. The ink in pens tends to freeze up and not write well at such high altitudes, so a mechanical pencil is my go-to tool of choice. I’ve been a longtime fan of Red Bull. 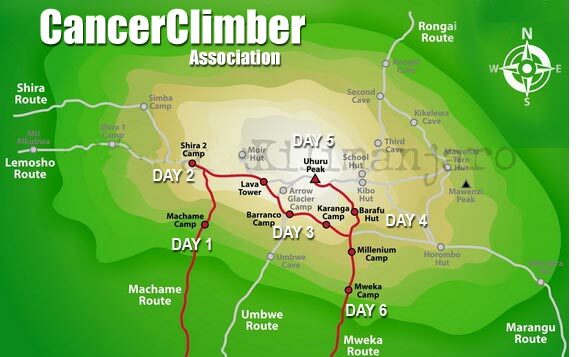 I train for months to prepare for any climb, especially Kili. But sometimes, like everyone, I also need that extra push to get to the top – Red Bull helps me do that. I also always carry sour gummy bears on my climbs as a tasty snack! I tell myself they’re an essential because my body needs the sugars, but really they’re just delicious. This year’s Adventure Support grant will be given to stage 3 Astrocytoma survivor Jake Dirks of Denver, CO and stage 3-4 Hodgkin’s Lymphoma survivor Dan Arnett of Pittsburgh, PA. They will be climbing Mt. Kilimanjaro with Sean. This fully funded adventure also includes training and gear for their two-week trip to Africa. In addition to the Adventure Support Grants, the CancerClimber Association has been providing one-on-one visits where Sean personally delivers a message of hope to cancer patients at hospitals and treatment facilities. The Association is currently raising money to support the brilliant idea of a CancerCamp. This is a mobile camp that could be transported to hospitals, and when assembled would include a climbing wall and obstacle course and many more activities to provide kids hope, excitement, and a taste of adventure. The gear links in this post are affiliate links. If you click an affiliate link and check out online, WeighMyRack get’s a commision. For all affiliate commissions generated by this post, WeighMyRack will donate the money to the CancerClimber Association. Sean is best known for climbing Mt. Everest with one lung & being the first cancer survivor to summit Mt Everest. But there's so much more to Sean's story. Check out Sean's Official Website and the CancerClimber Association to learn more.